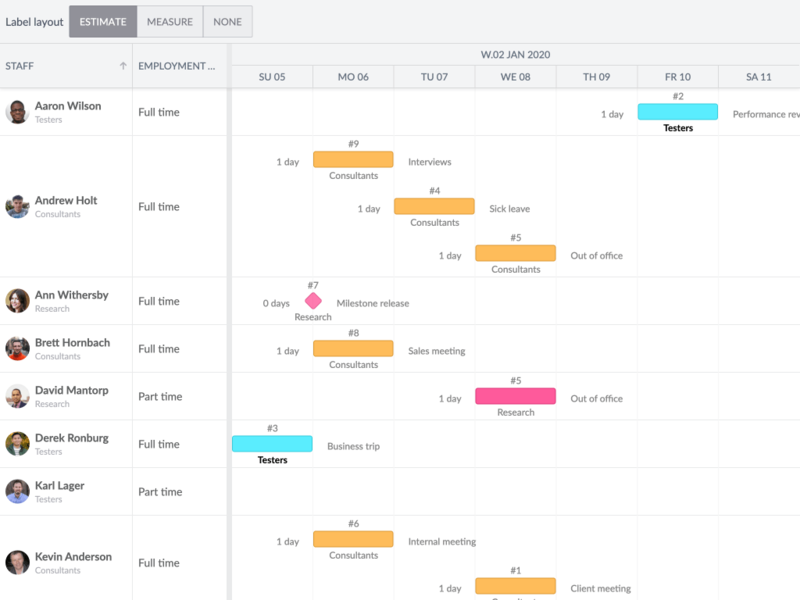 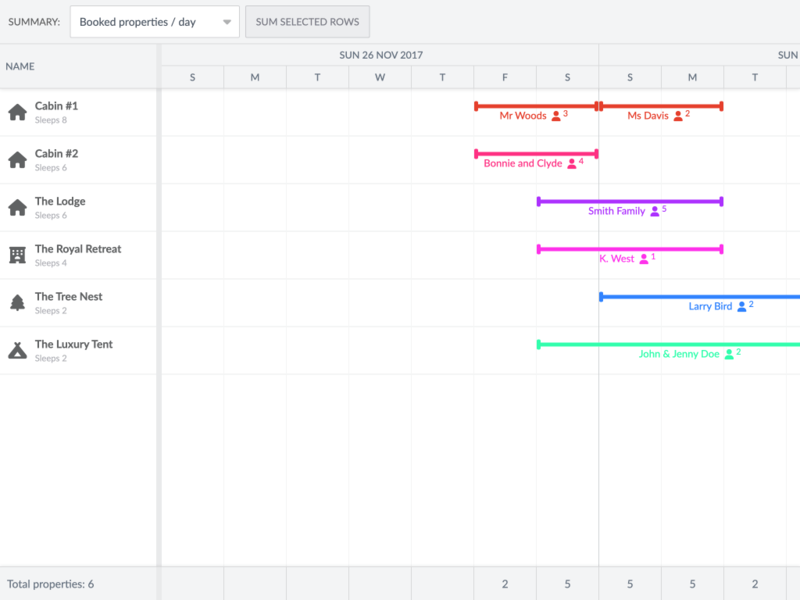 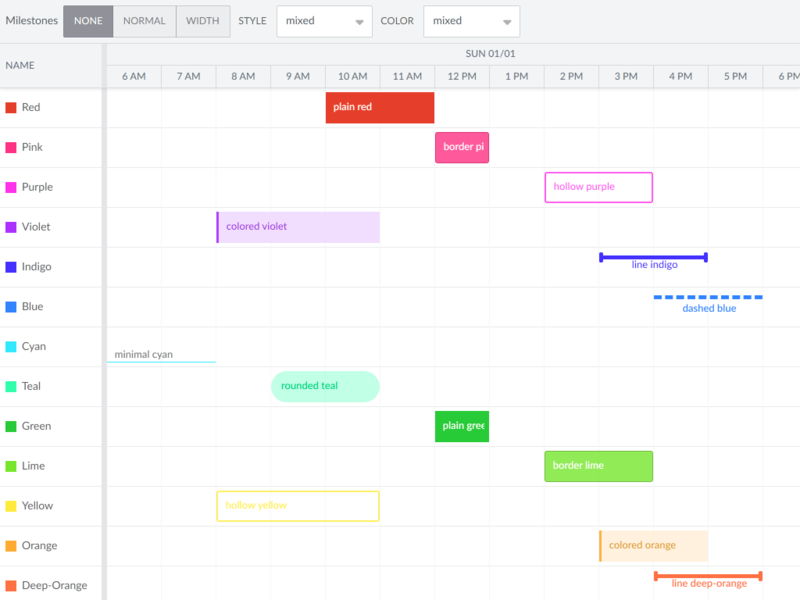 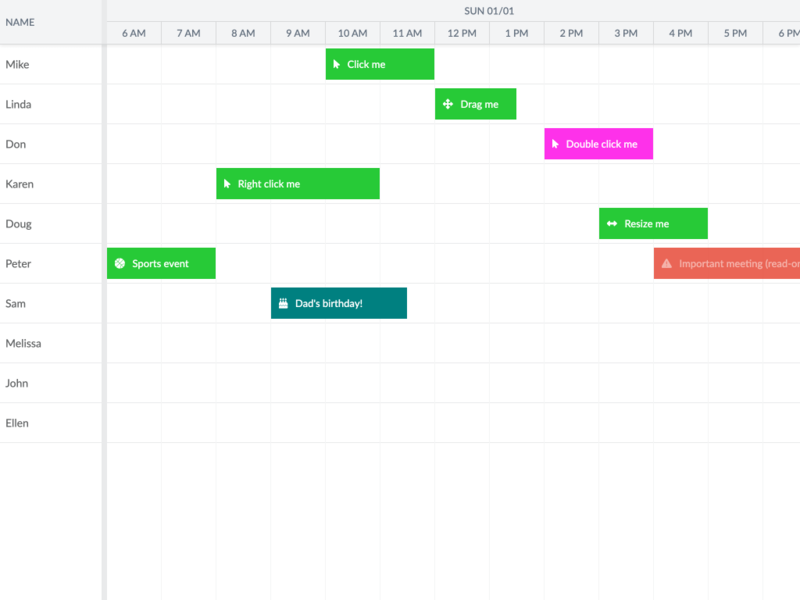 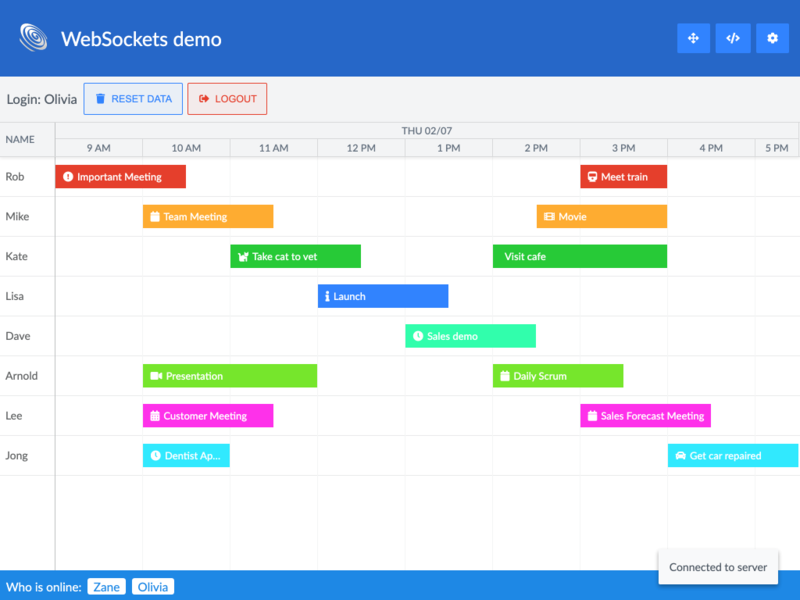 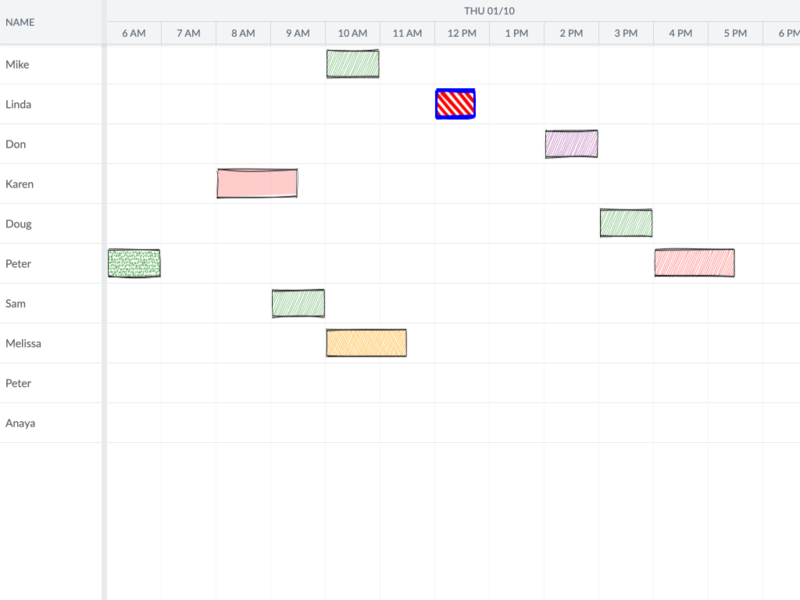 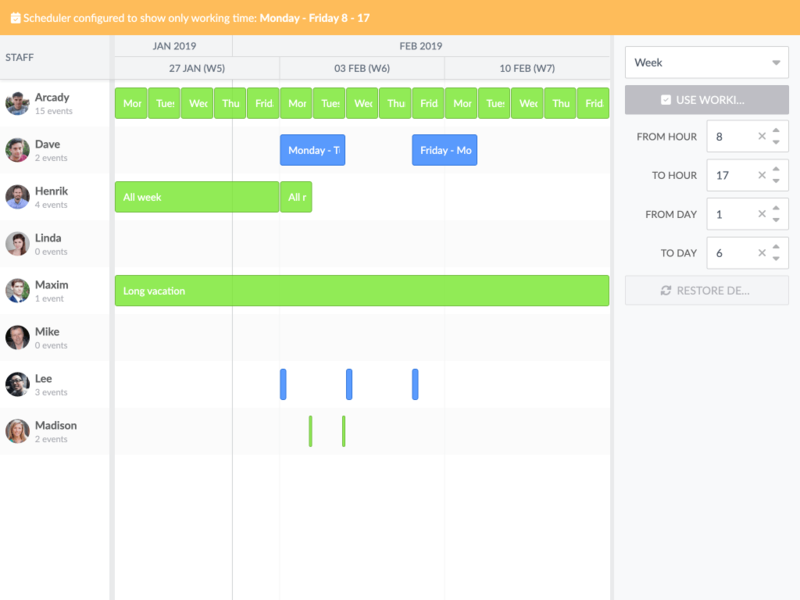 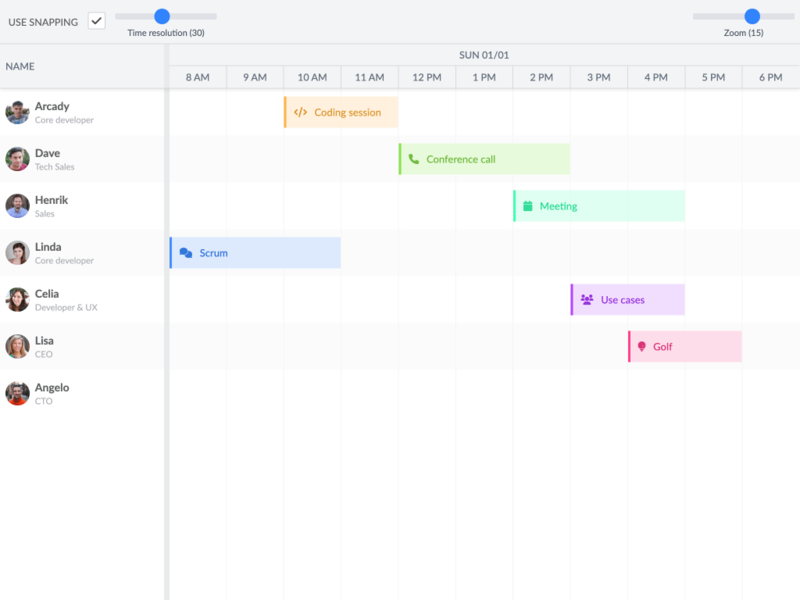 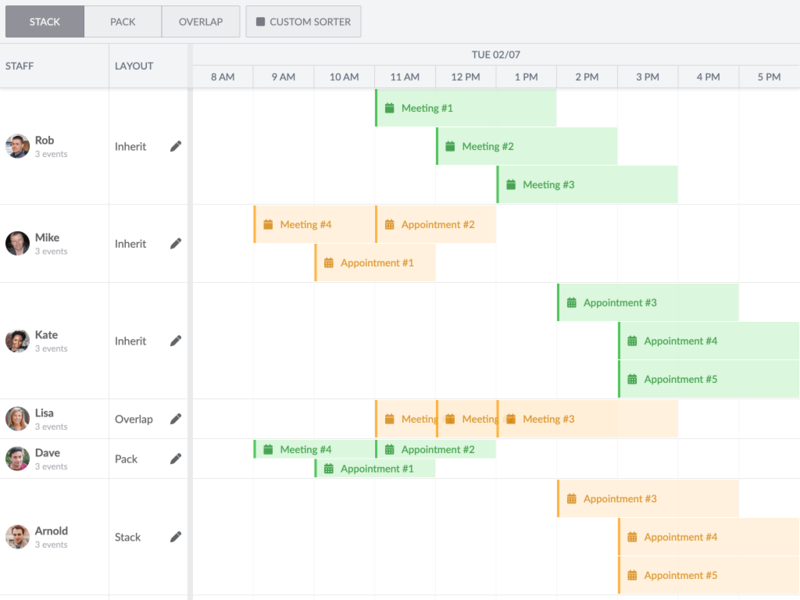 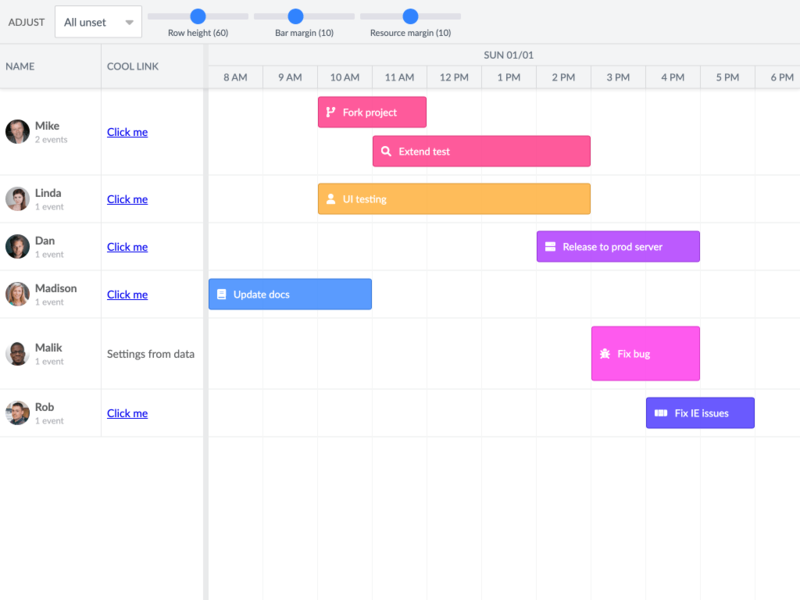 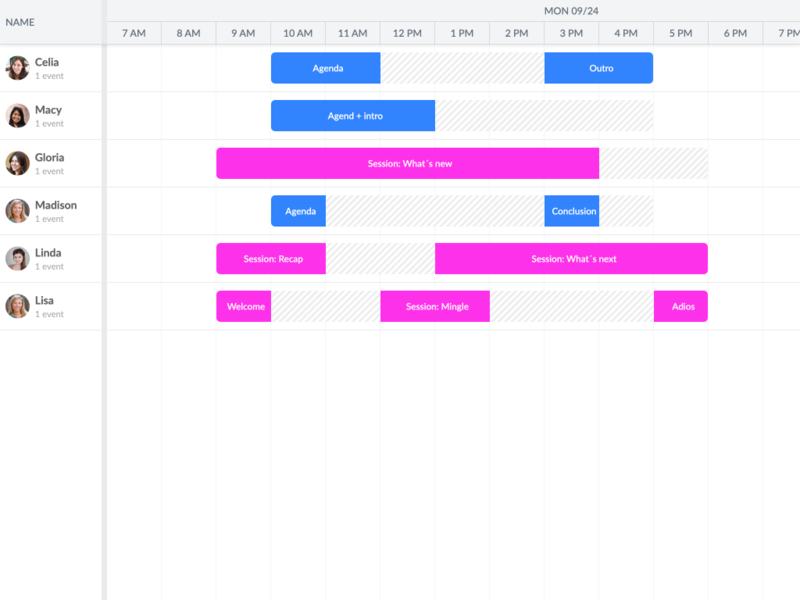 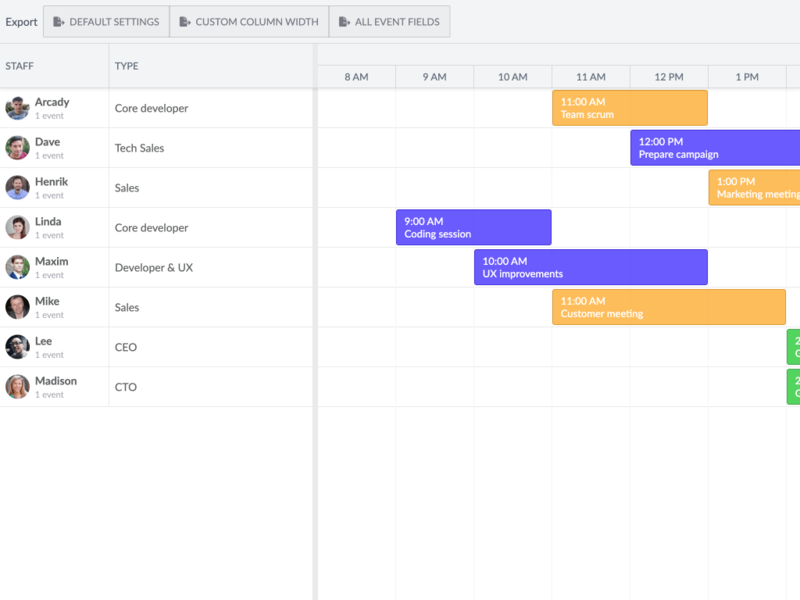 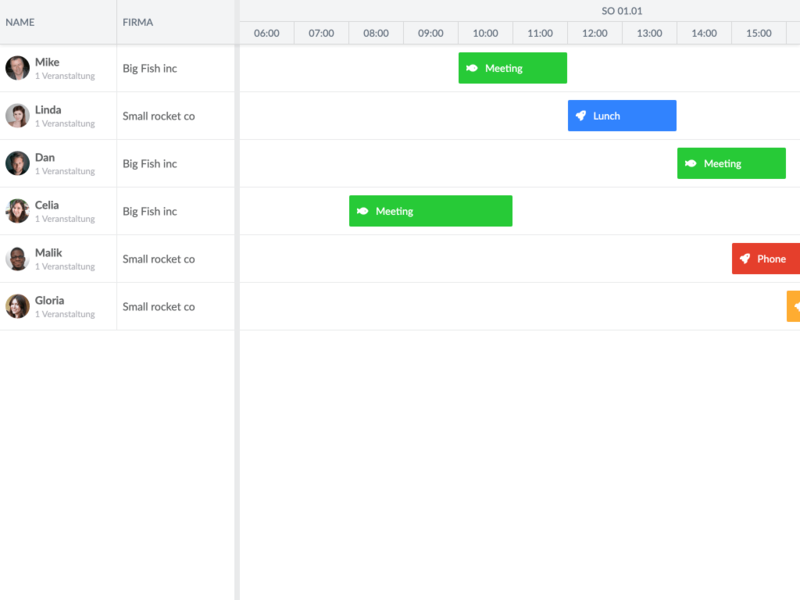 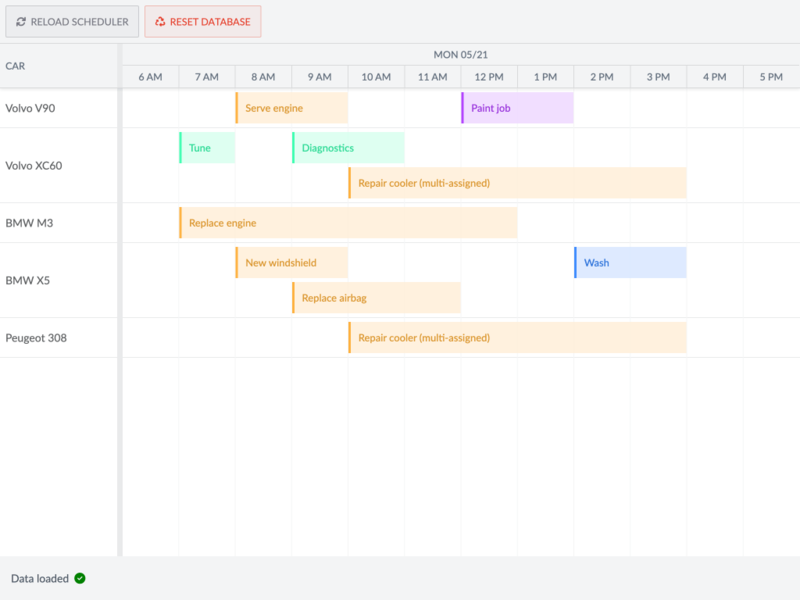 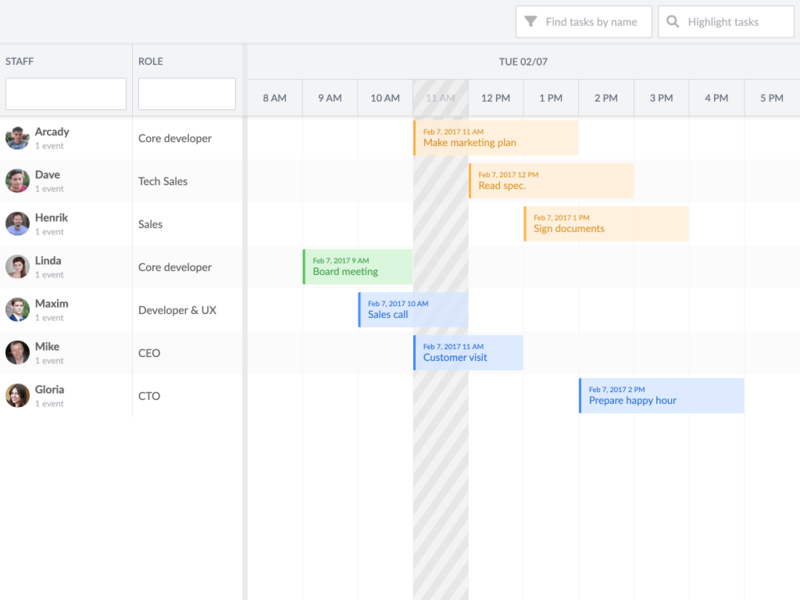 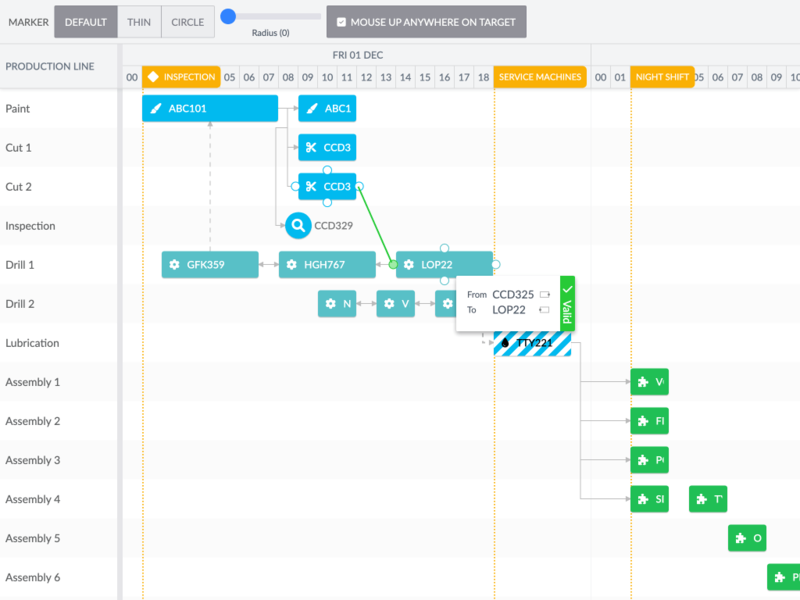 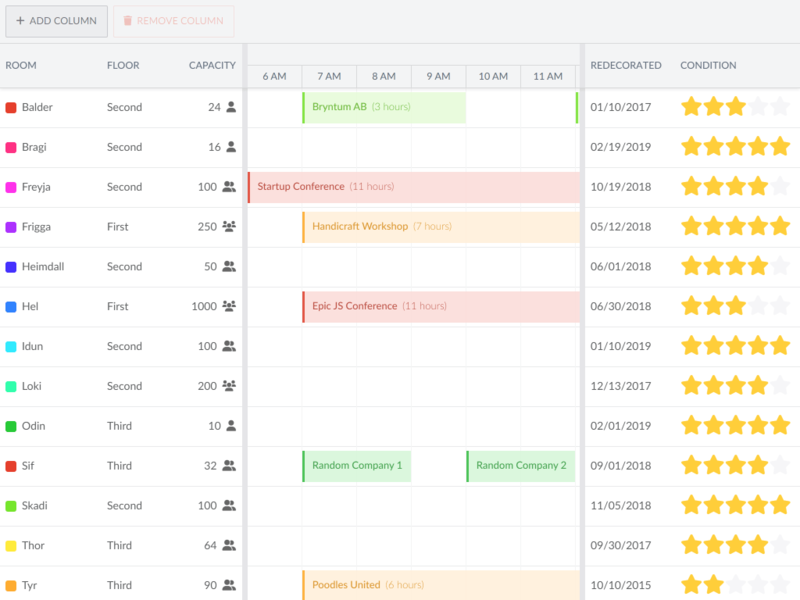 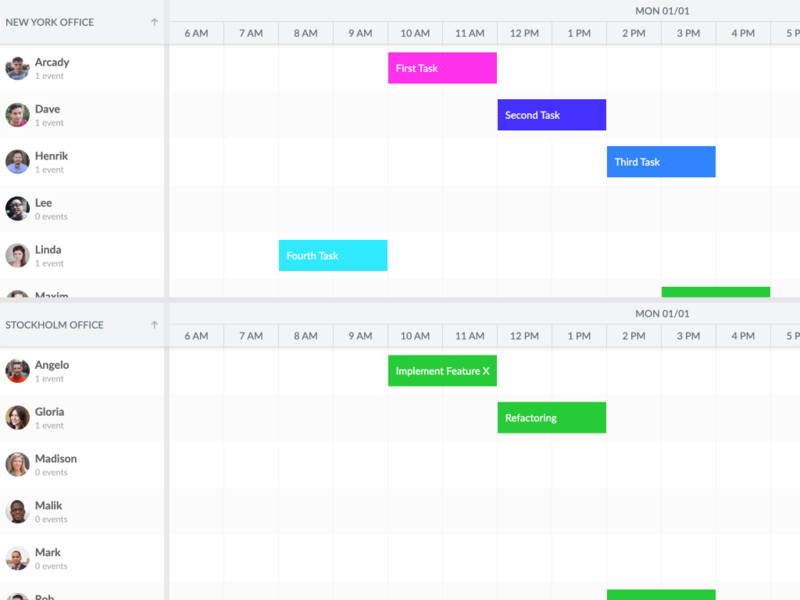 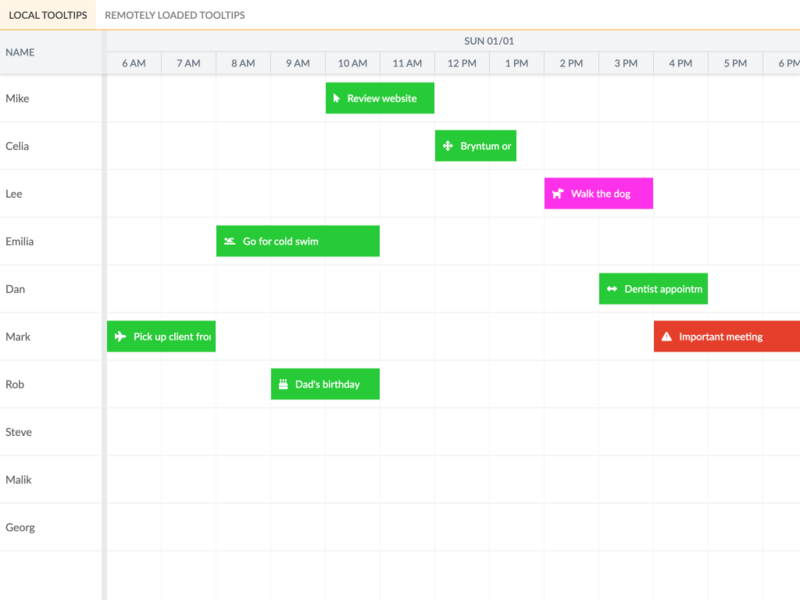 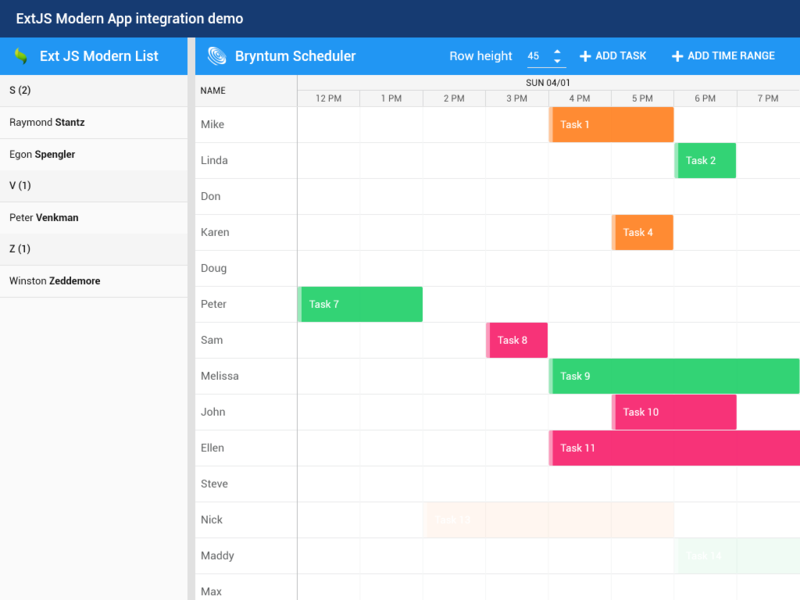 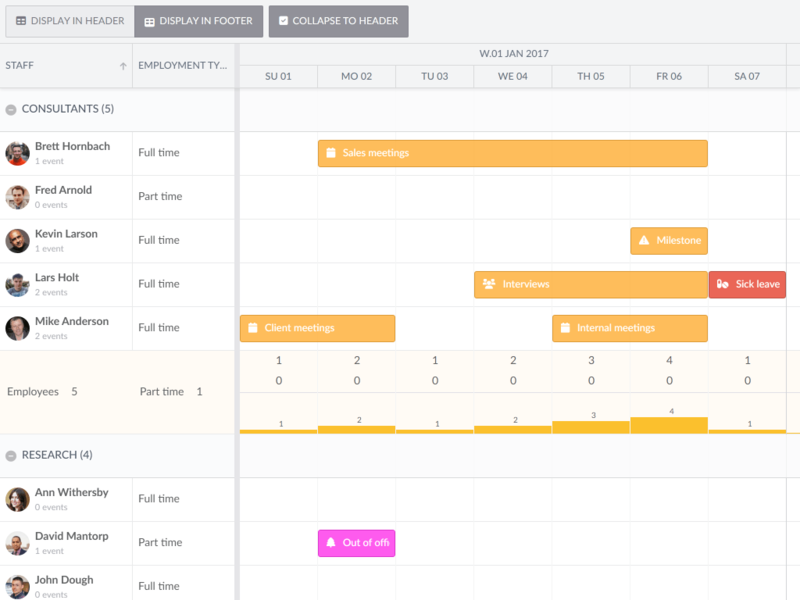 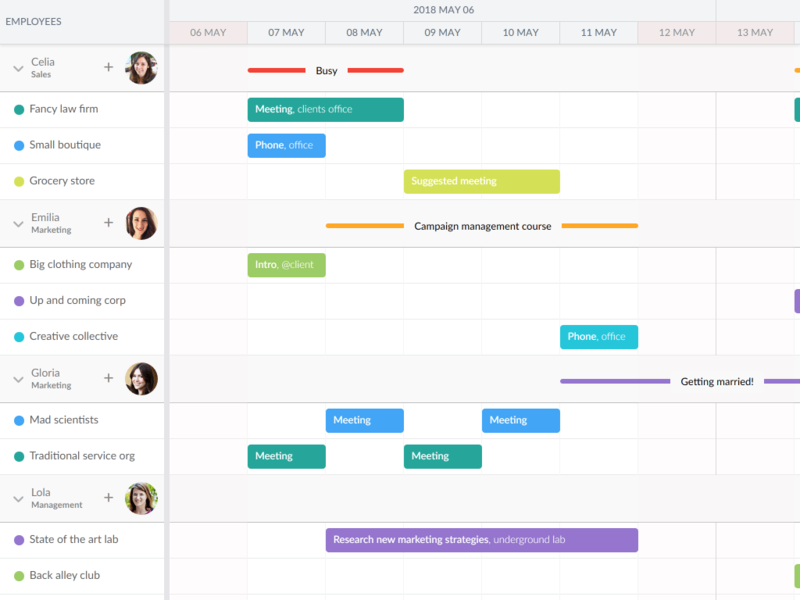 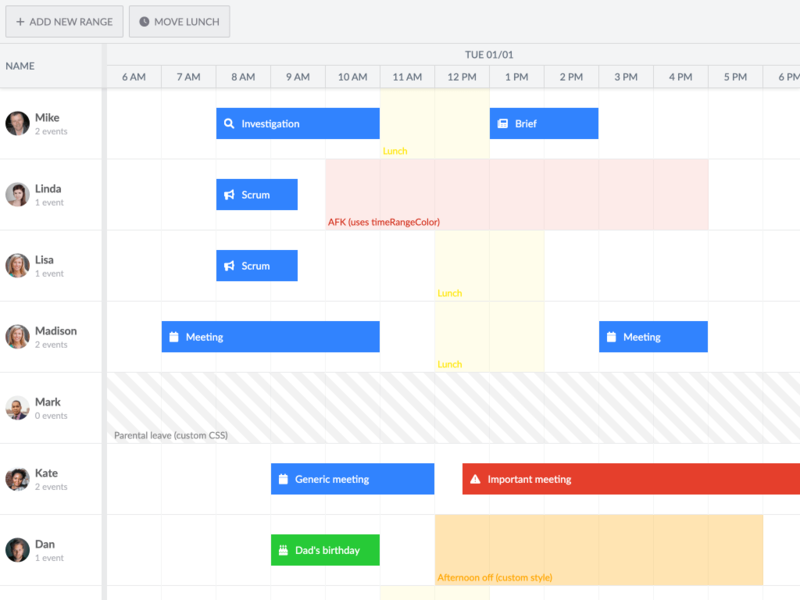 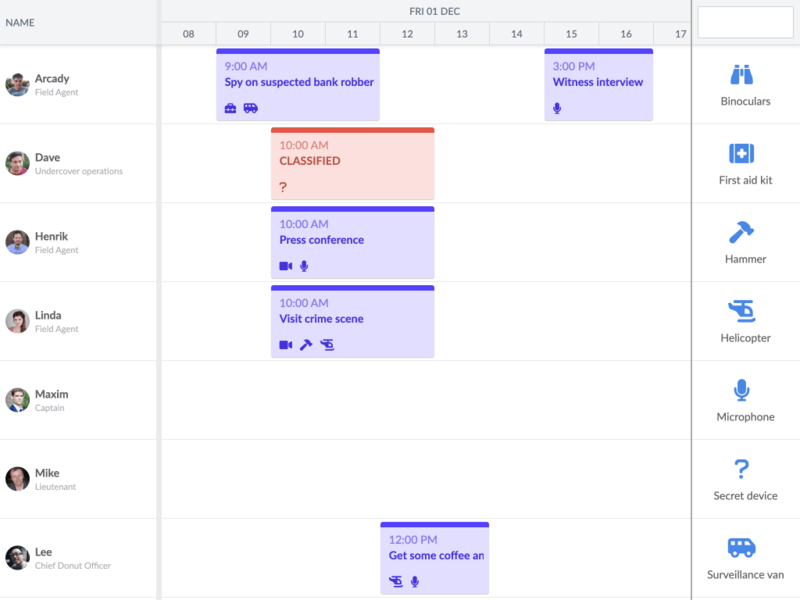 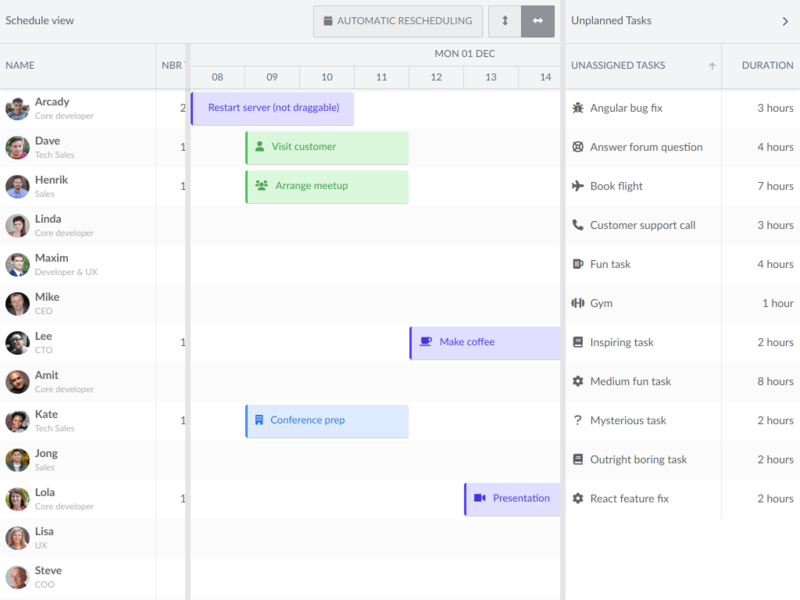 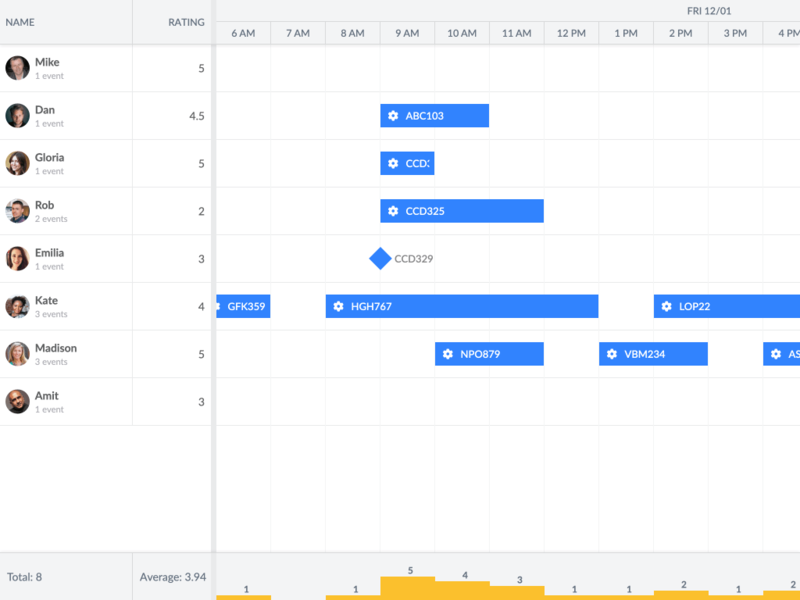 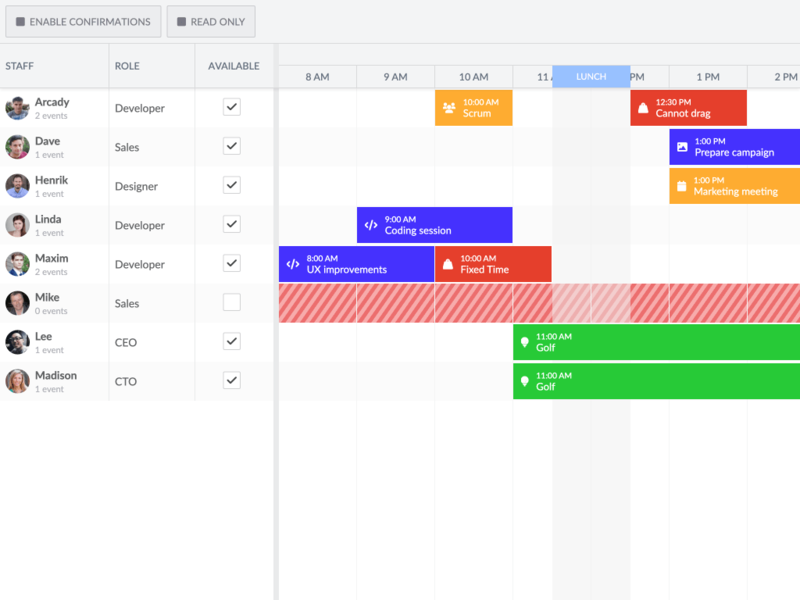 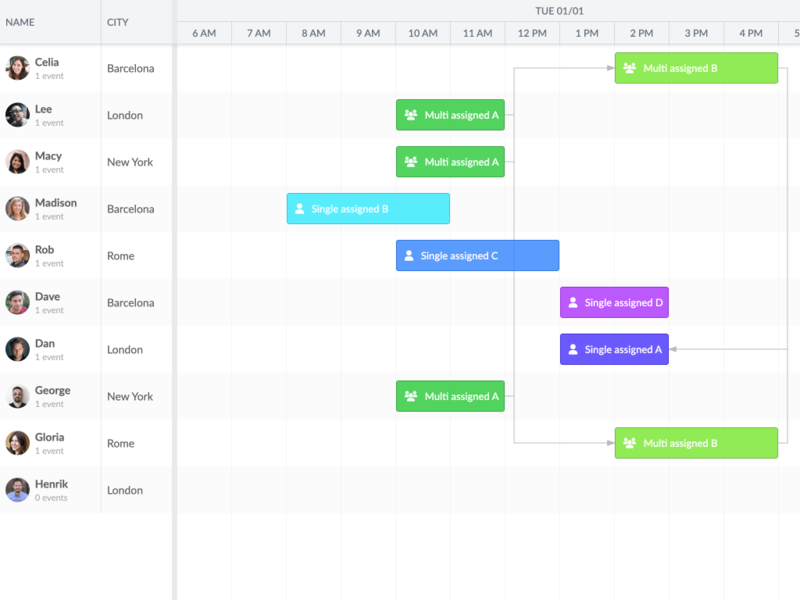 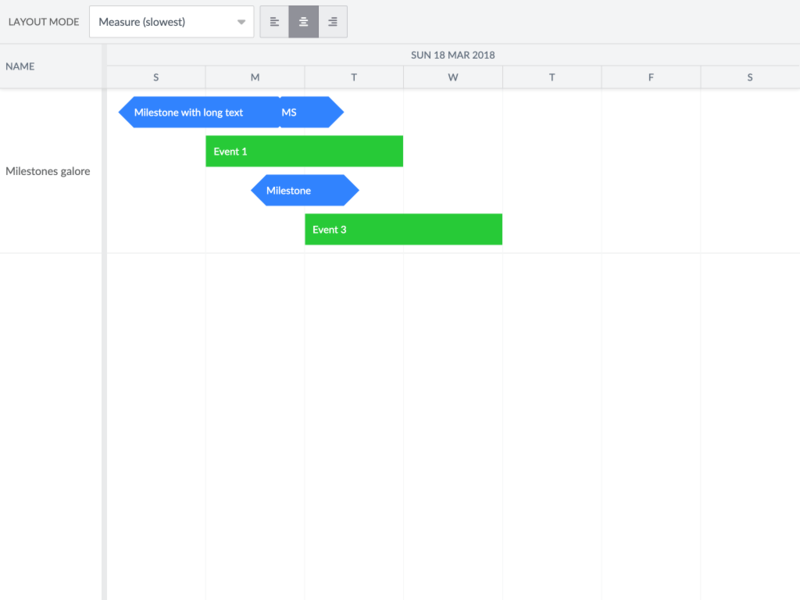 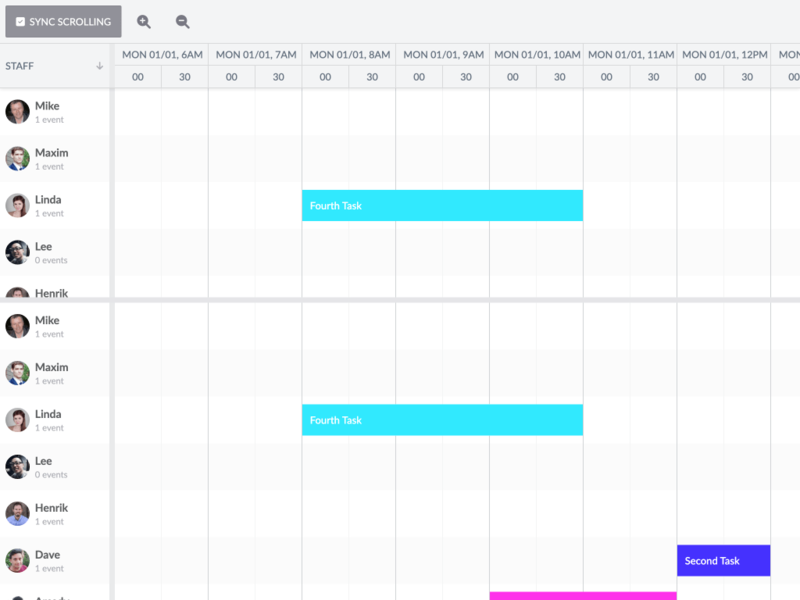 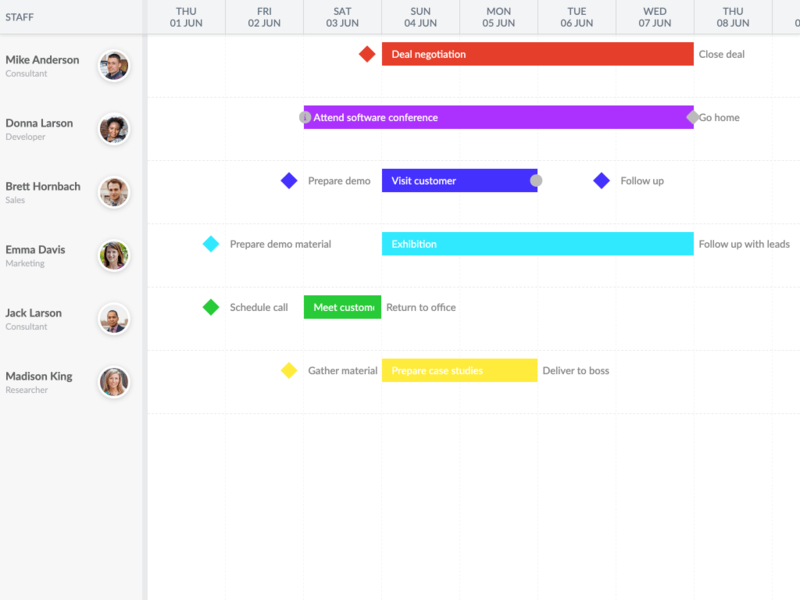 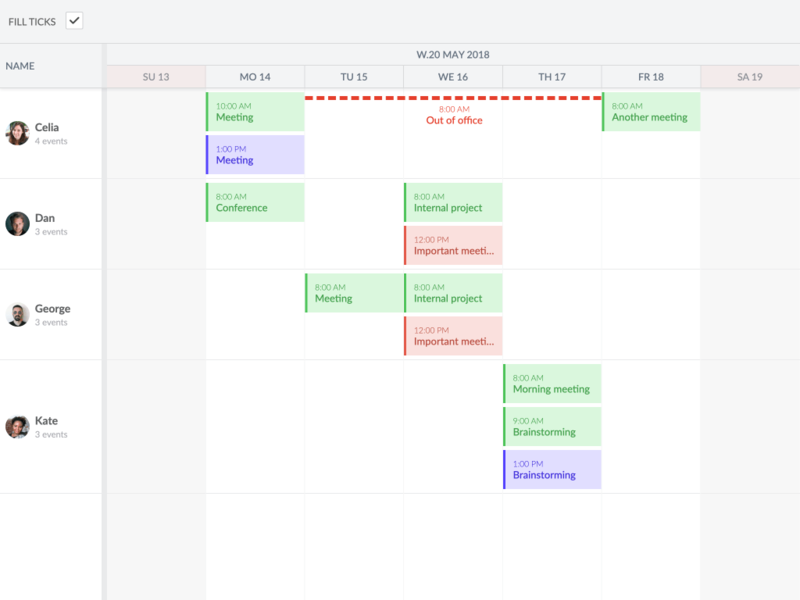 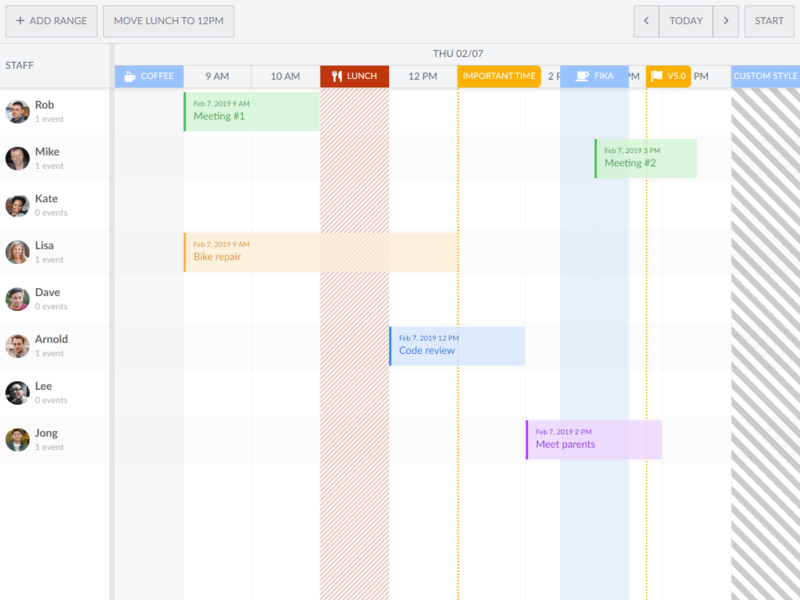 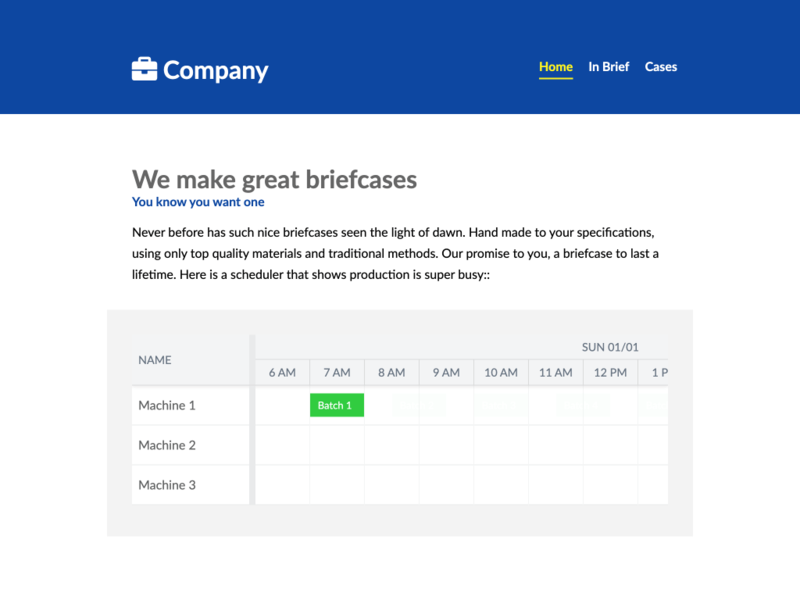 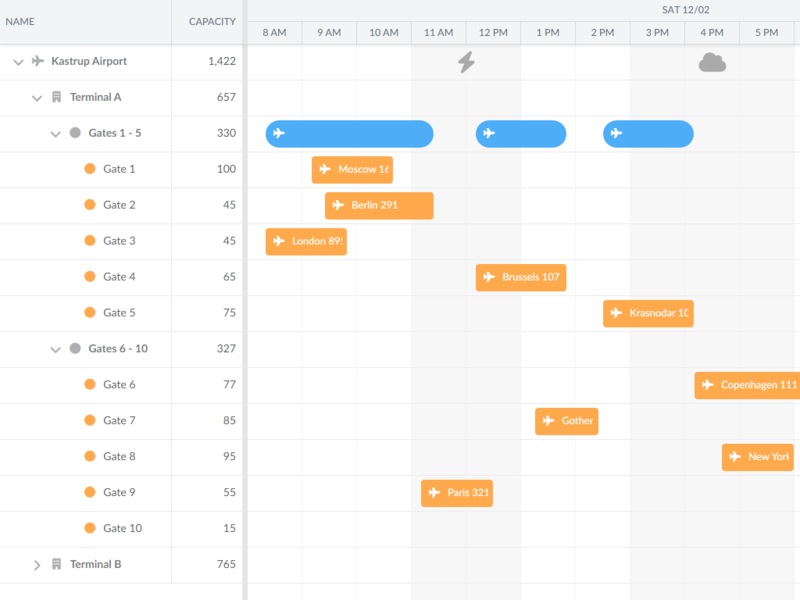 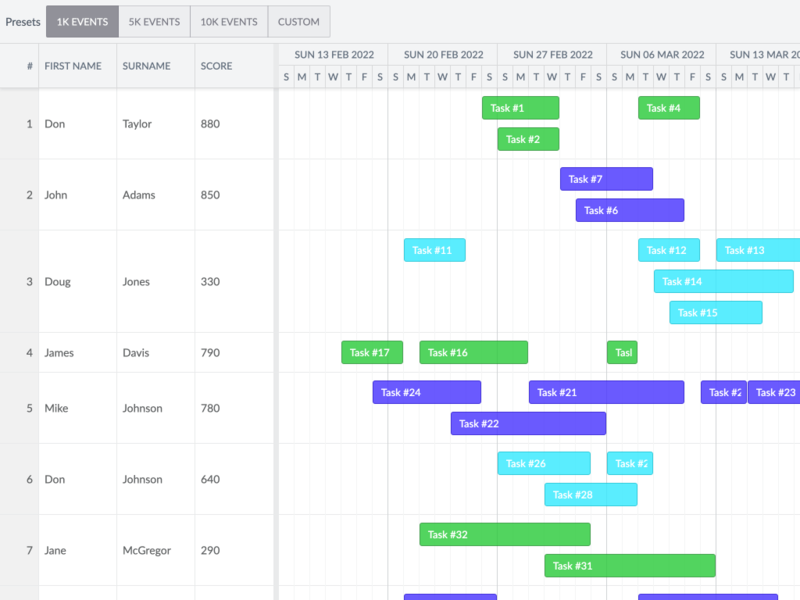 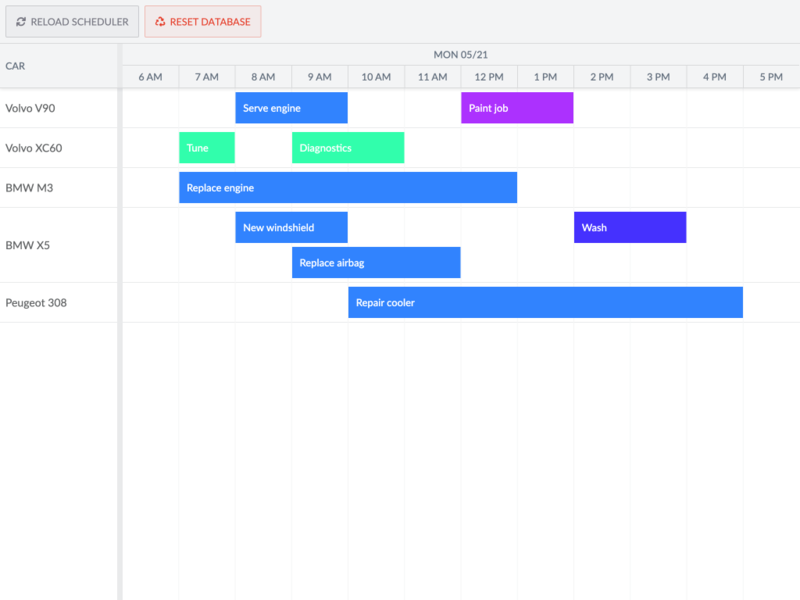 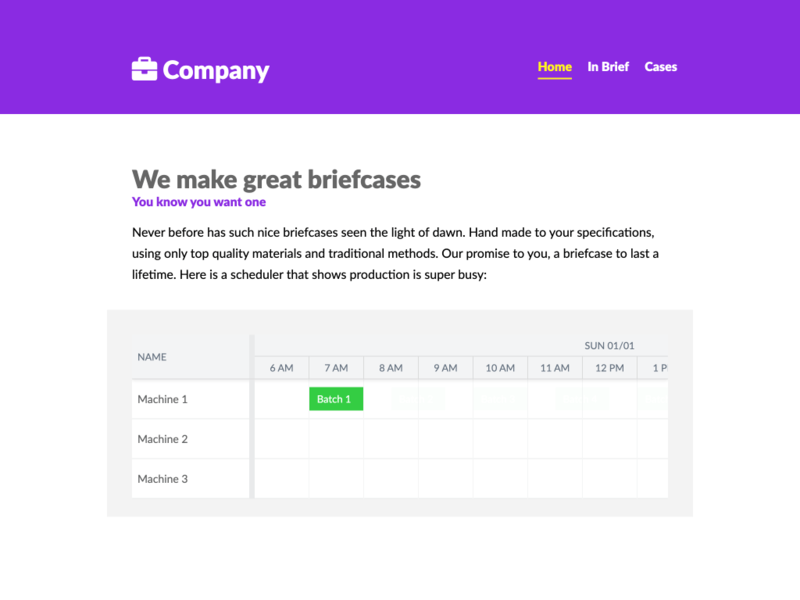 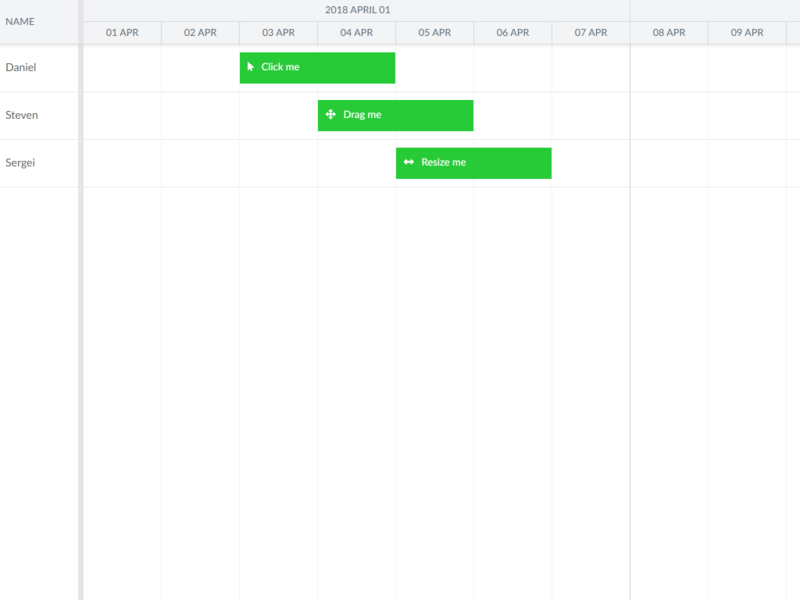 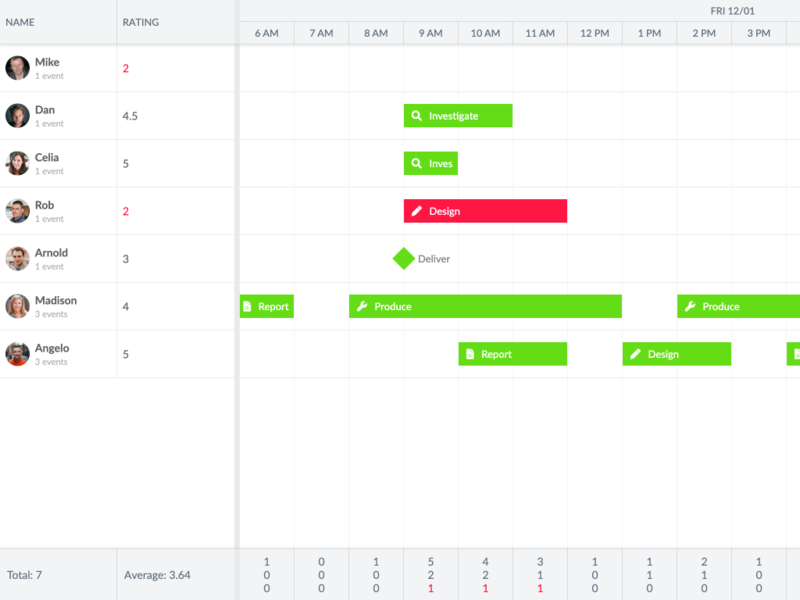 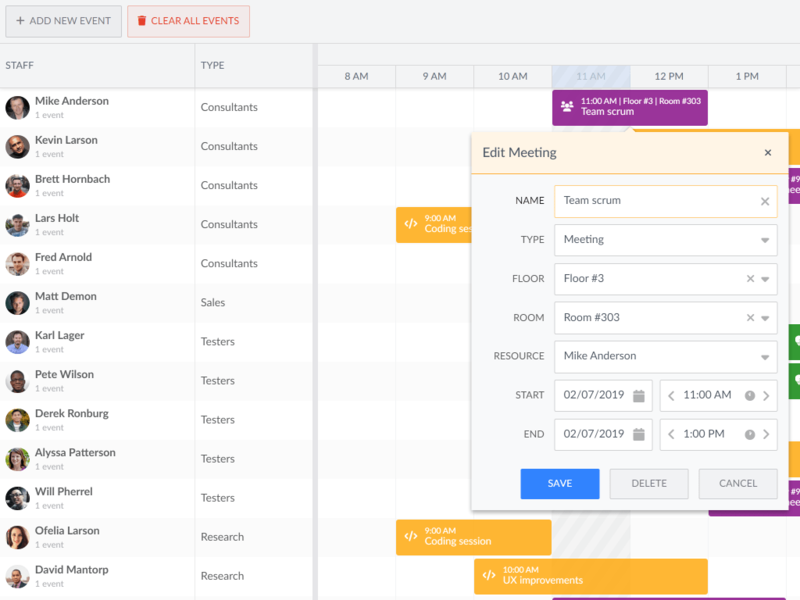 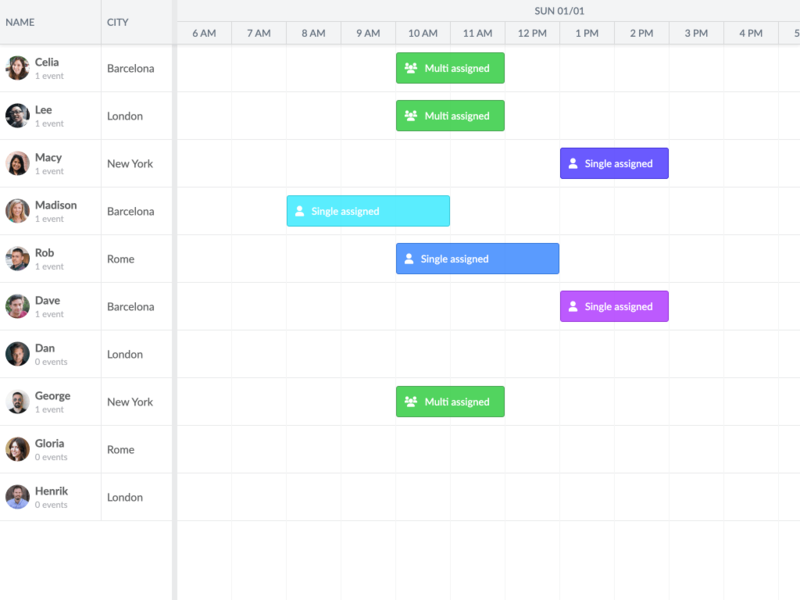 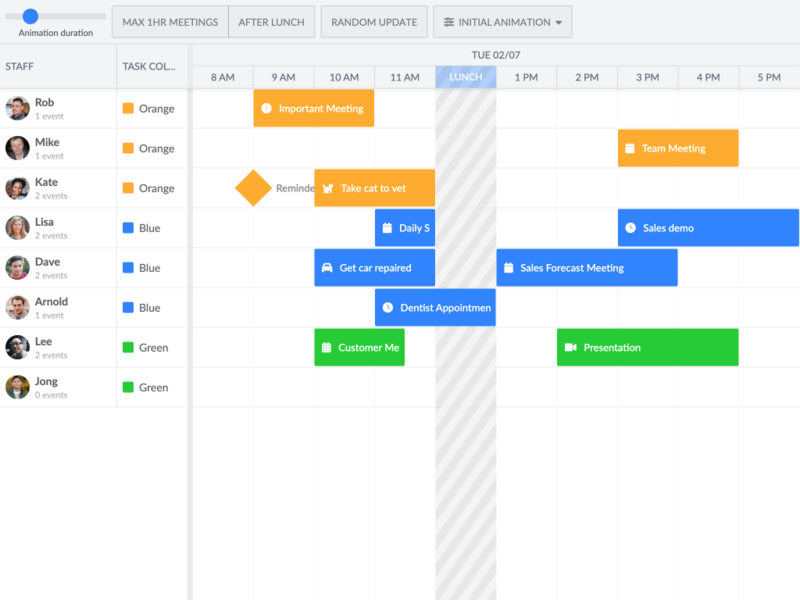 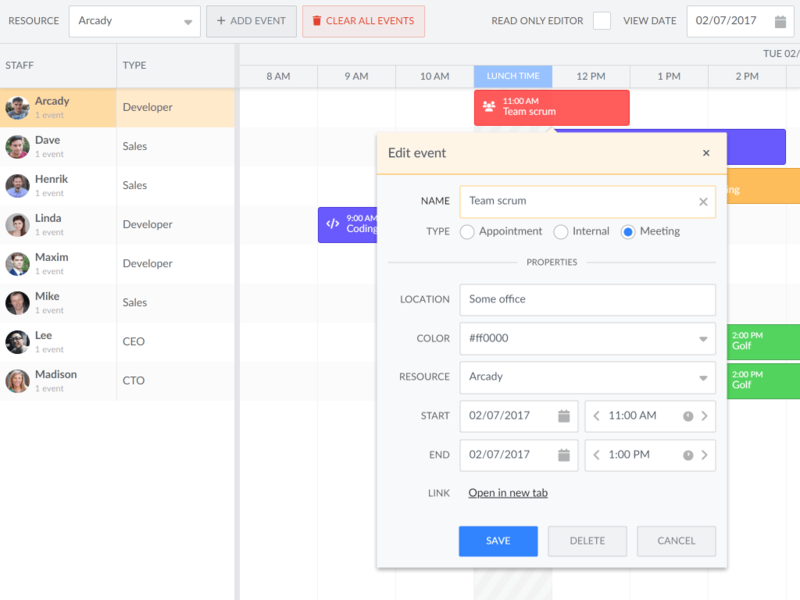 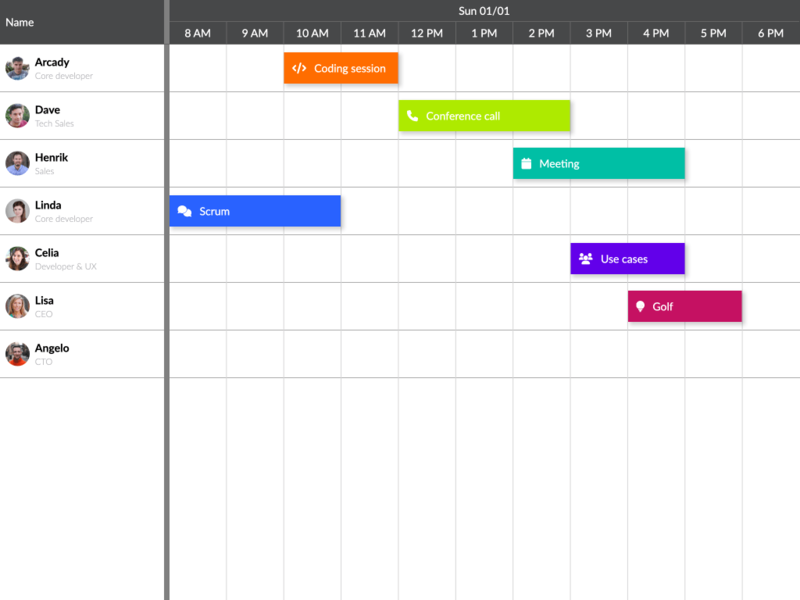 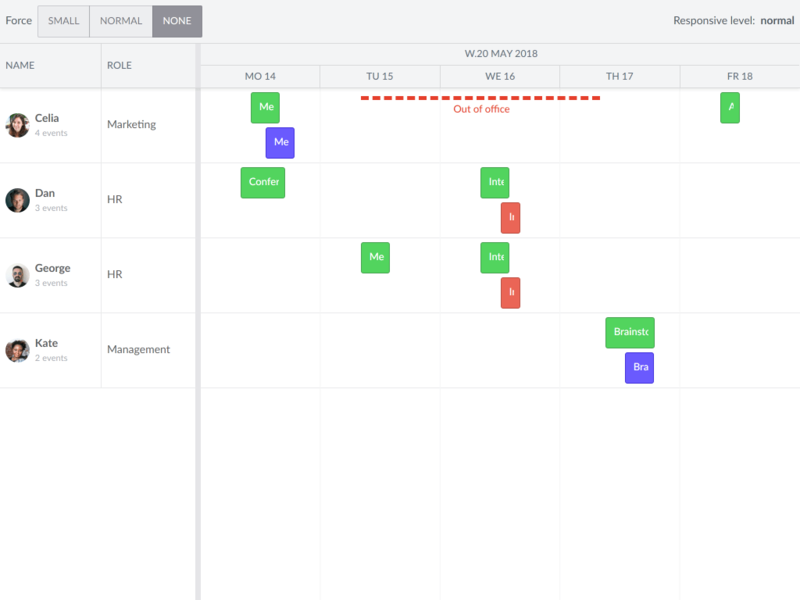 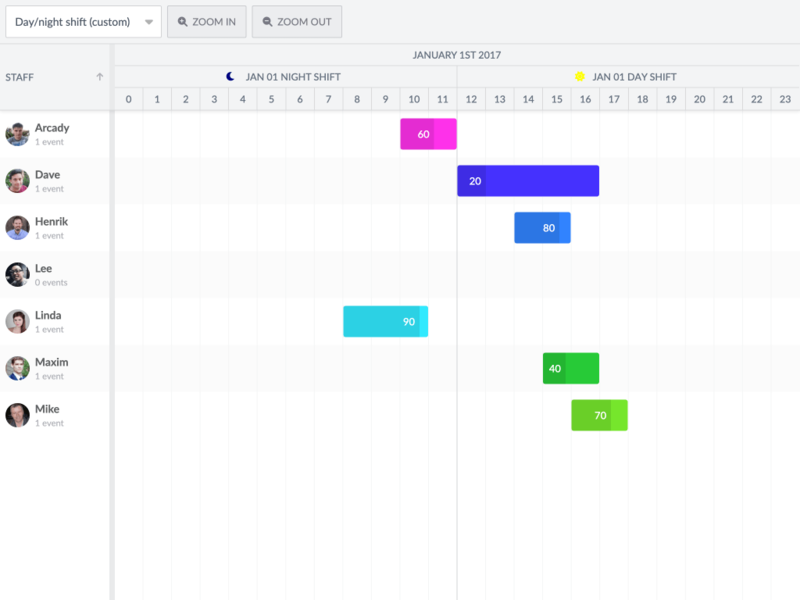 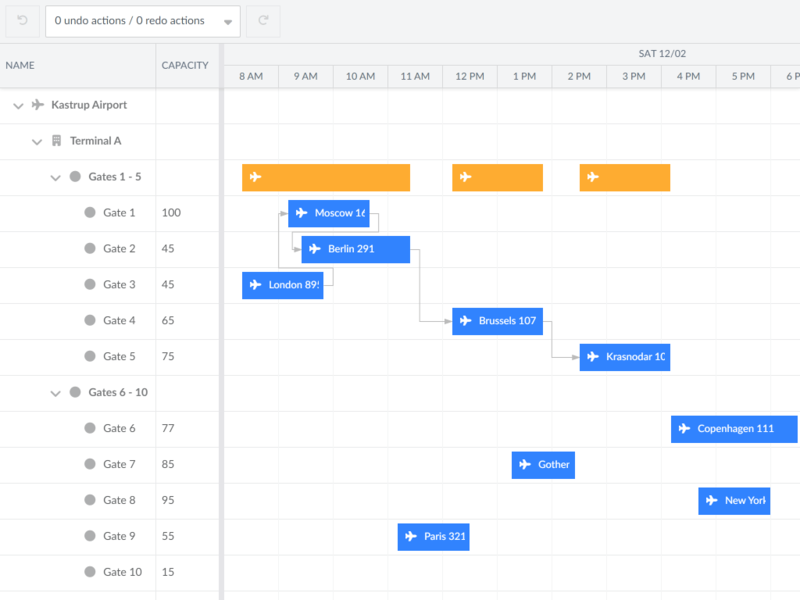 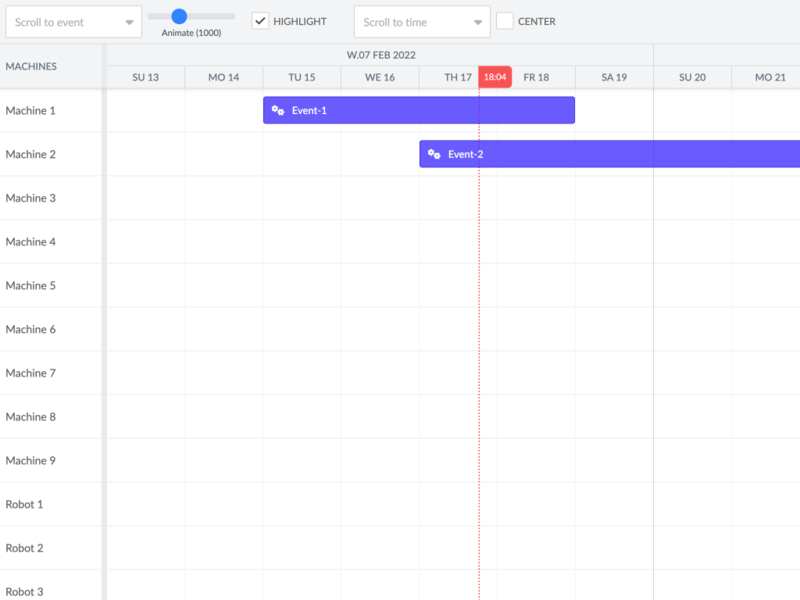 Bryntum Scheduler is a full featured resource scheduler with support for all the features you need like grouping, filtering, tree view, dependency lines and much more. 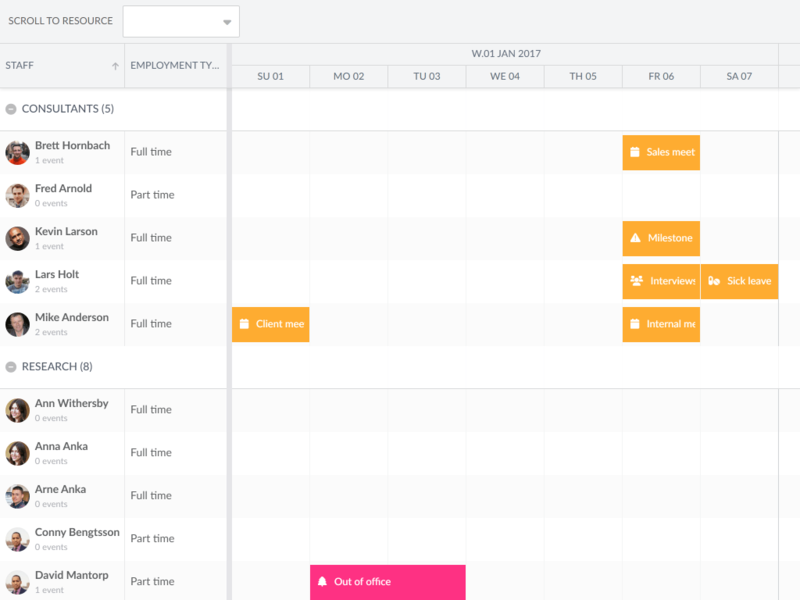 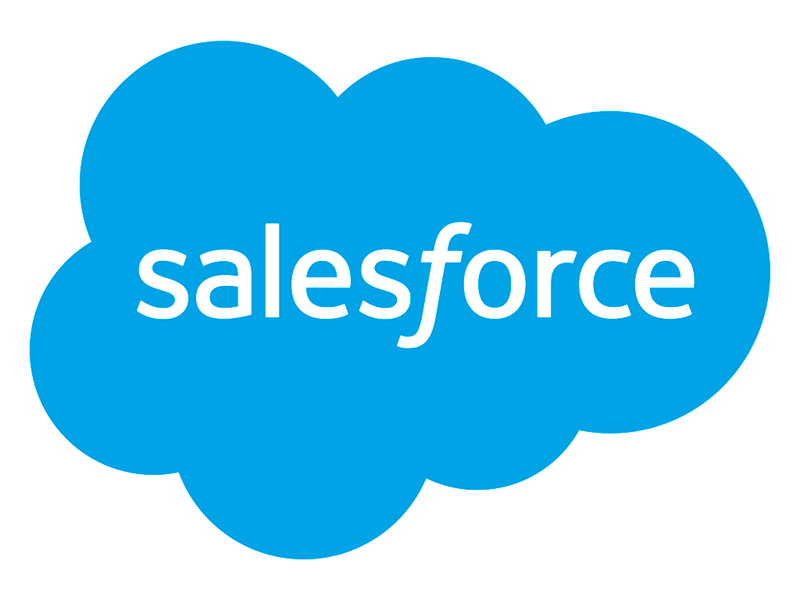 Scroll down to browse demos or click the 'Documentation' button above to view our guides and API docs. 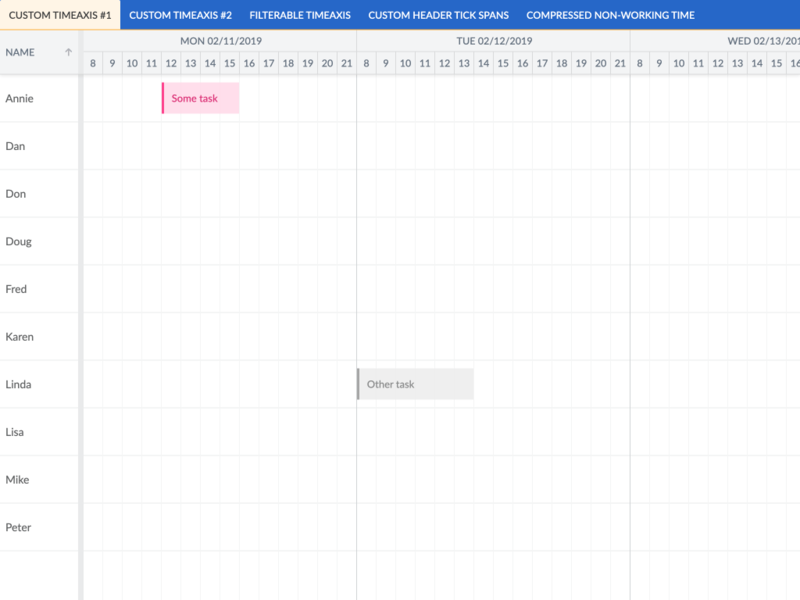 The info button lets you switch theme and locale for the demos.